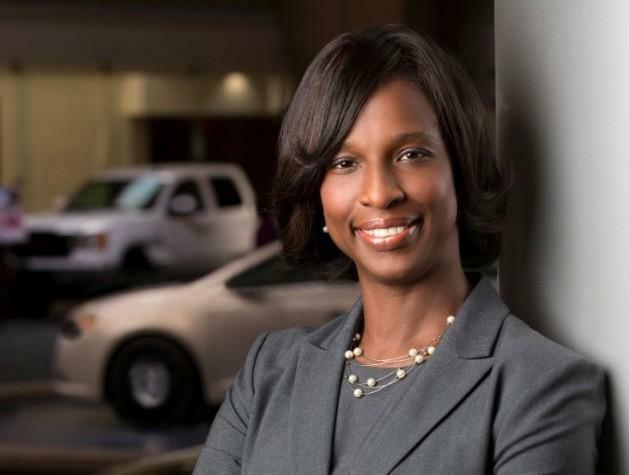 News that General Motors’s Alicia Boler-Davis will expand her U.S. role over customer experience to a global level could be a major win for consumers as it relates to the company’s in-car technology. The official GM press release indicates that the move is part of GM’s ongoing efforts to transform itself into a “customer-centric” company and one of the best in the industry when it comes to the overall customer experience. The announcement comes on the heels of the release of J.D. Power & Associates annual quality study, where GM placed about 50 percent of its vehicles in the top three of their respective segments with a company-best eight segment awards, according to an official press release. In the new role, Boler-Davis will oversee everything from the quality of vehicle manufacturing to the overall dealer experience in the global markets where GM does business. Still, it’s the things more specifically centered on the “connected customer” as it relates to in-car technology in her new role as GM’s VP of Global Quality and Global Customer Experience that tech-oriented consumers should be most excited about. In the new position, Boler-Davis will be responsible for ensuring that GM’s infotainment systems – the Cadillac CUE, Chevy MyLink and Buick and GMC IntelliLink – can meet global consumer expectations. Part of those efforts will include overseeing initiatives such as GM’s Connected Customer Specialists, a group of tech experts that help consumers learn more about their in-car technology, via training dealer representatives to become Certified Technology Experts. Boler-Davis’ new role is sure to be met with some challenges when pushing to compete with the level of global customer experience associated with infotainment systems such as Audi Connect and BMW’s ConnectedDrive. Despite some of the easy-to-use features of GM’s in-car tech systems like MyLink, my current test drive of the new 2014 Chevrolet Impala indicates that there are a few areas where the system could use improving to be more user-friendly. The CUE infotainment system has also gotten mixed reviews, a sign that while it might be the look of an infotainment system that lures you in, it’s the functionality that consumers find most appealing. Yep, Boler-Davis definitely has some work ahead of her to ensure that GM’s level of customer experience in the world of car technology meets or exceeds those of some other companies on a global level. However, in having an opportunity to talk with her on several occasions, I get the sense she’s connected enough to what drives consumers to pull it off. Before being named vice president, Global Quality and U.S. Customer Experience, Boler-Davis was plant manager of the Pontiac Stamping and Orion Assembly plants in Michigan. She joined GM in 1994 and has served in various engineering and manufacturing leadership positions, including vehicle line director/vehicle chief engineer, small car; plant manager for Lansing’s Consolidated Operations and Arlington Assembly. Throughout her career, she has received high accolades for her commitment to improve overall customer satisfaction. And we’ve spoken on several occasions about the need for automakers to maintain a high level of connection with consumers after they purchase a vehicle. If Boler-Davis approaches her new position from the same perspective, which I fully suspect she will, it could help to completely redefine the customer experience when it comes to GM’s in-car technology in more ways than one.